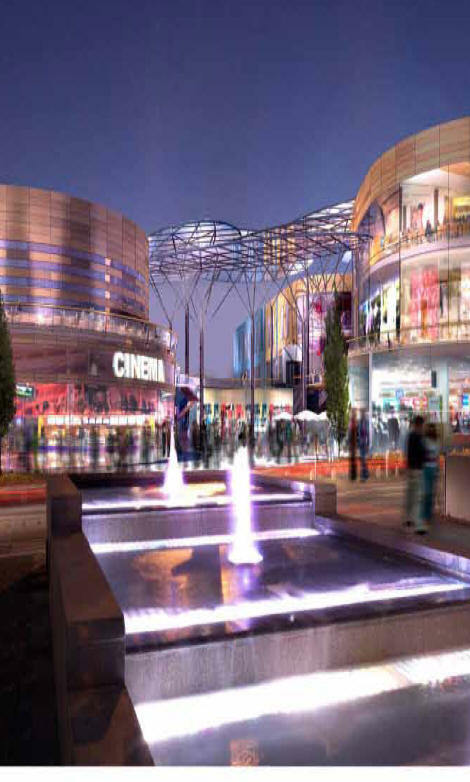 City centre retail developments are critical to the future of Newport as it strives to be an attractive place to live and work. Two developments are in the proverbial pipeline. Let's hope, this time, they happen. 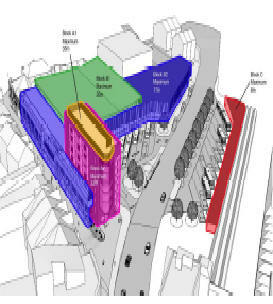 The new development of the Cambrian Centre will see new shop fronts along Cambrian Road (see far left), a seven storey office block fronting the Queensway (centre), a 513 space car park (blue on map) and a bus station interchange (red) near to the new city railway station. 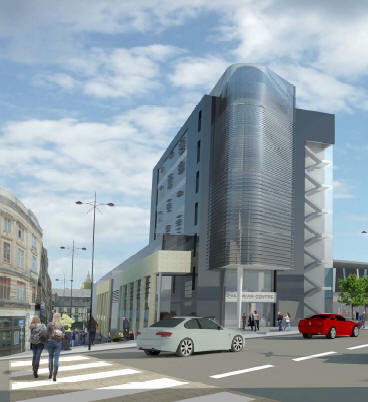 Planning has been granted and work is scheduled to start soon. 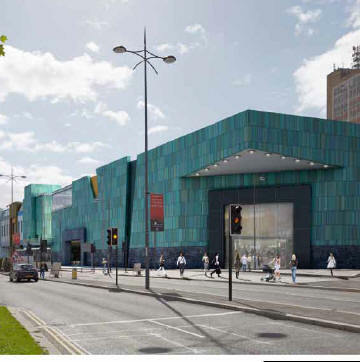 The design access statement for the new Friars Walk envisages a new department store on the current bus station area, a cinema and restaurants (centre - view from footbridge) and an airy, ambient shopping mall. A development partner has been selected (Queensberry). 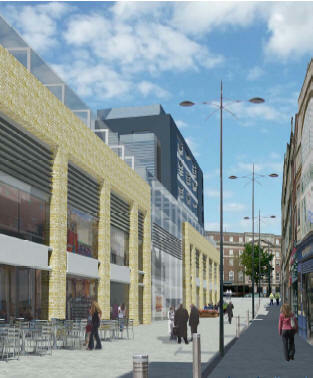 Debenhams will anchor it. Work to start in 2013.